If you fall asleep during these movies, you should be checked for narcolepsy immediately. Runtime: 86 minutes Some of the snootier film critics among us will be quick to disregard Ace Ventura as an iconic comedy on the grounds that it's too manic, hyperbolic, and obnoxious. In response to such dastardly accusations I simply suggest this: "Warning! Assholes are closer than they appear." Because one of these critics might even be someone you've long considered a friend. Ace Ventura is a prime example of how glorious his brand of slapstick could be when packed into small doses. At a mere 86 minutes, his goofy antics and facial acrobatics don't have the opportunity to stretch themselves too thin. 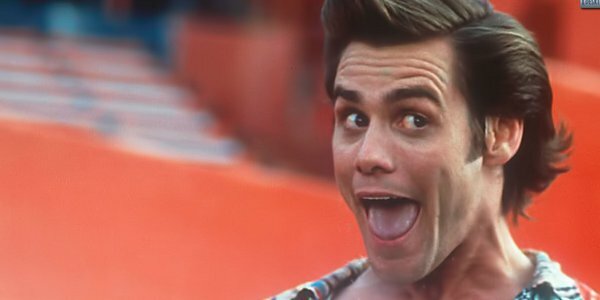 Honestly, the only reason I'd want to risk ruining the brief magic that is Ace Ventura: Pet Detective is to extend the scene in which Jim Carrey cases a mental institution by posing as a mentally unstable man in a tutu who loves to play football. That could go on for another 25 minutes and I wouldn't mind one bit.